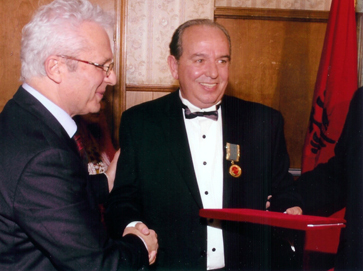 Early age - Bashkim Braho was born in Tirana, the capital of Albania, on March 20th 1948. 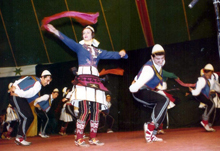 His talent was noticed at a very young age, and he would dance encouraged by family members who had fun watching his playful moves. 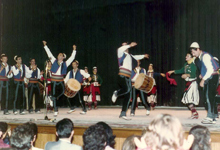 His sister would play the daire (similar to a tambourine) while Bashkim would dance in front of his relatives, getting the first taste of an enthusiastic audience. 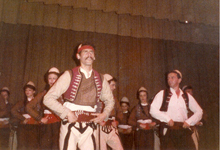 He completed "Kosova" grade school while dancing as a member of an amateur group. 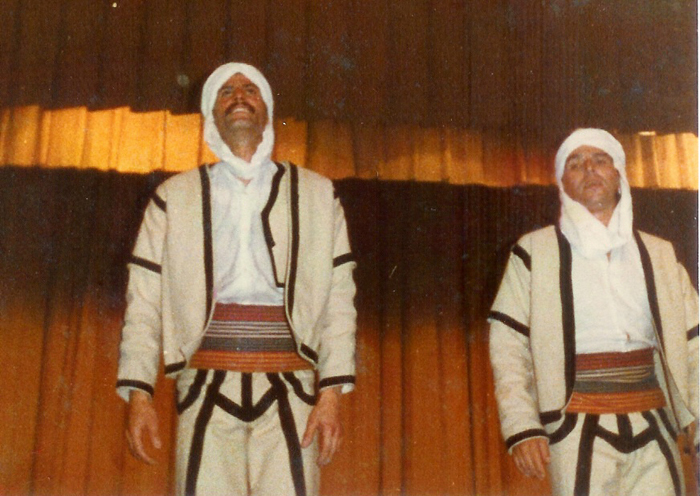 He continued his education at the Lycée Artistic "Jordan Misja". 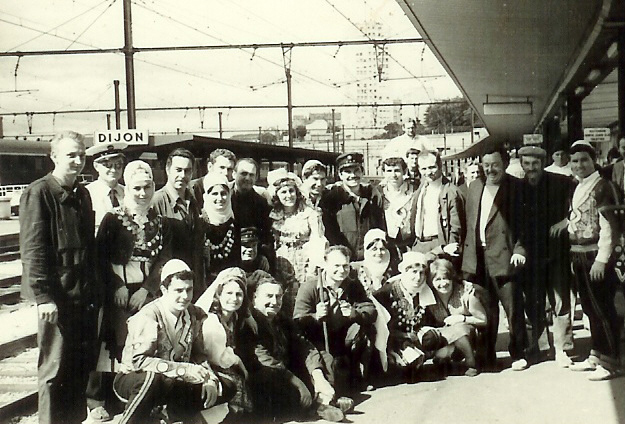 1970 Dijon Festival, France. 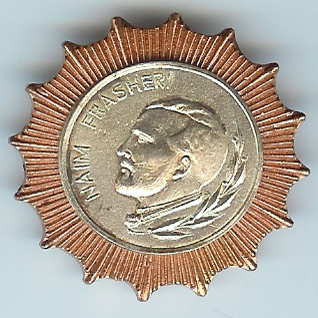 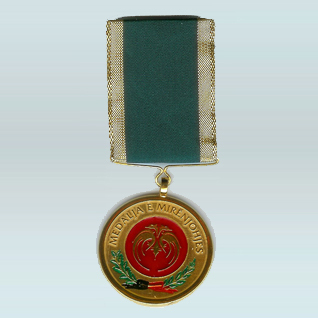 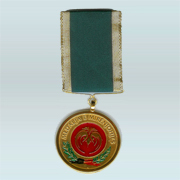 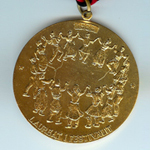 EFDS was awarded the “Gold medal”. 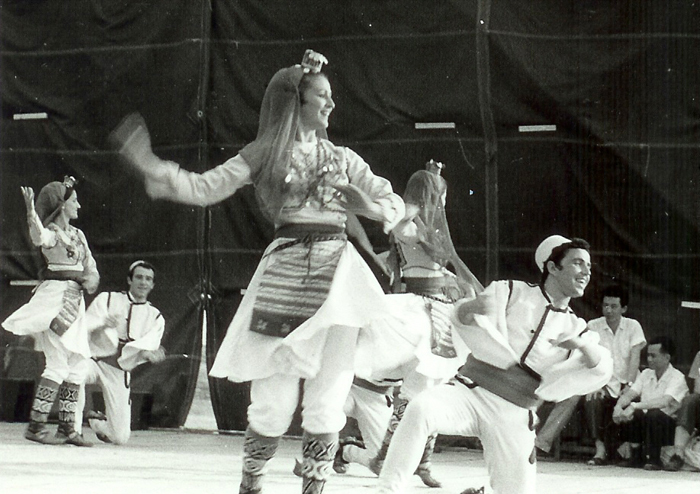 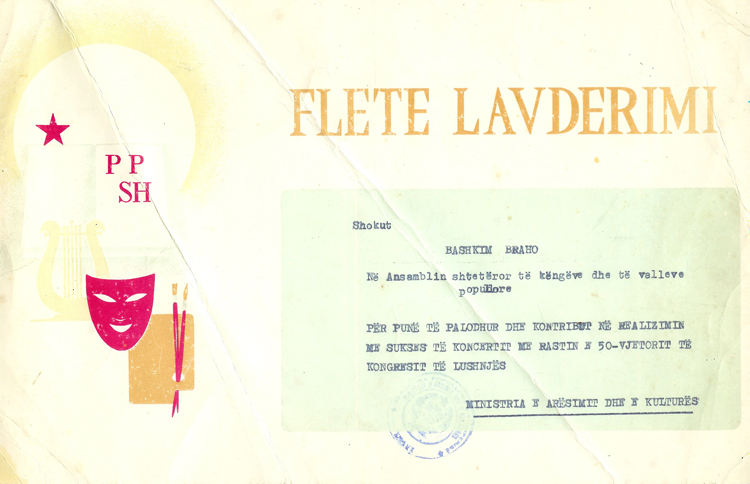 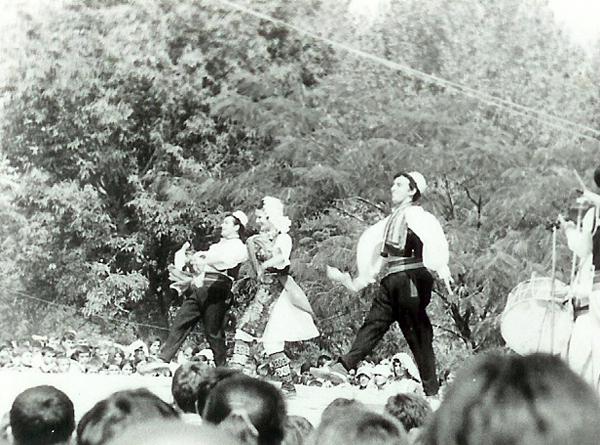 1971 Dance tour in Kosova, where for the first time he dances as a first soloist. 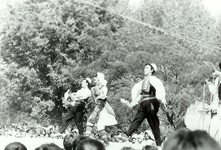 1974 Dance tour in China and Korea. 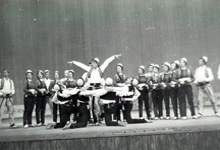 1976 Dance tour in Sweded and Norway. 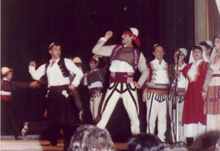 1977 Dance tour in Greece. 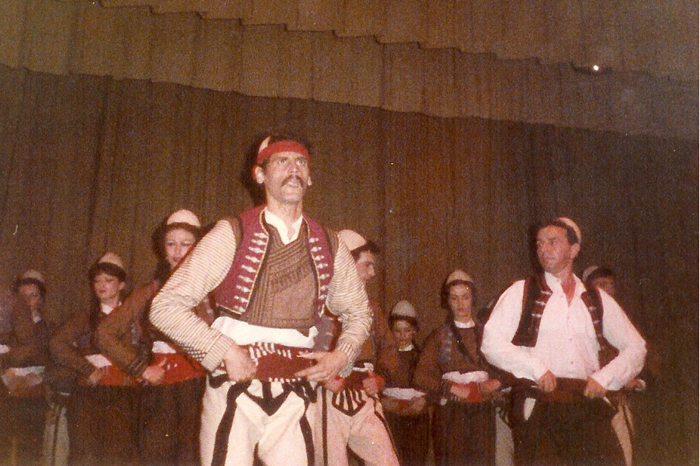 1978 Dance tour in Greece. 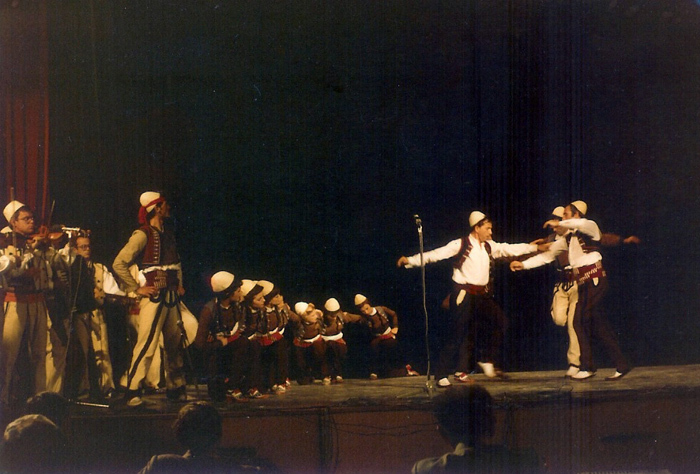 1979 Dance tour in Turkey. 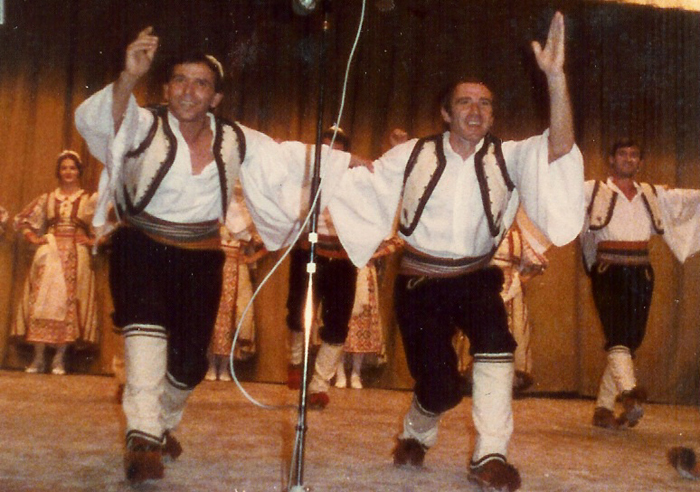 1980 Dance tour in France. 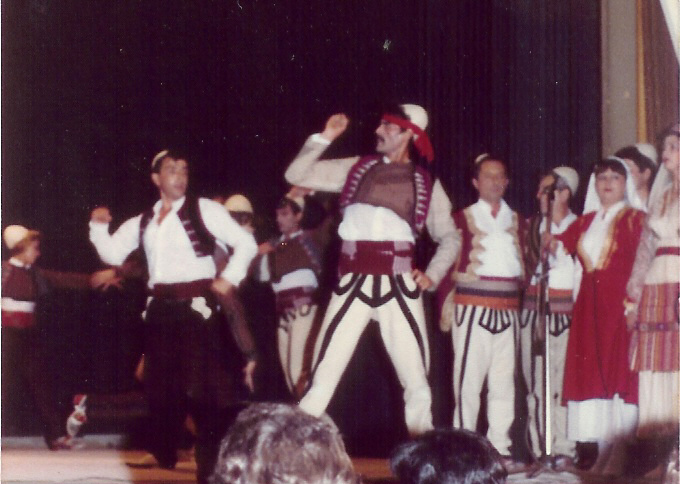 1981 Dance tour in Greece. 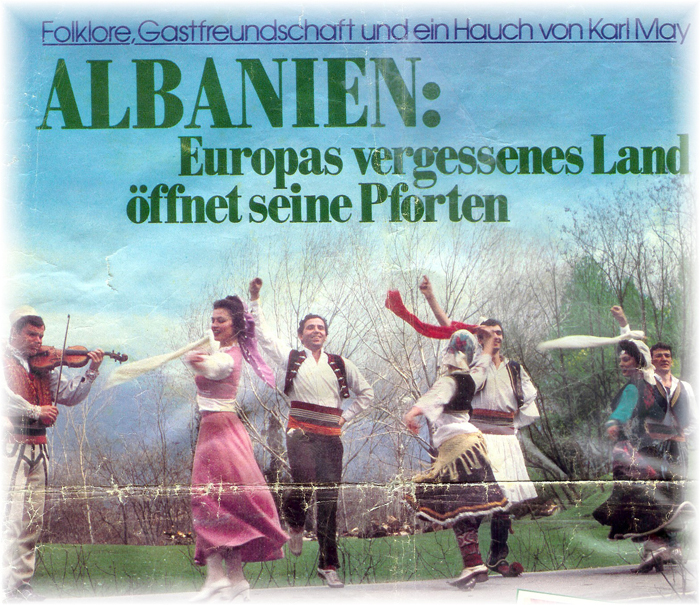 1982 Dance tour in Switzerland. 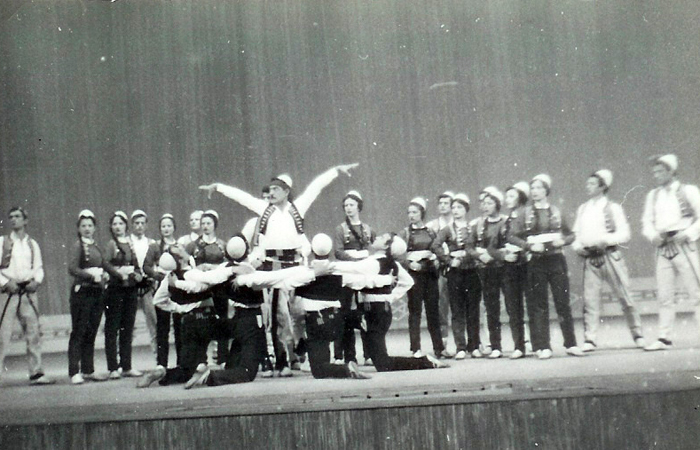 1983 Dance tour in Germany. 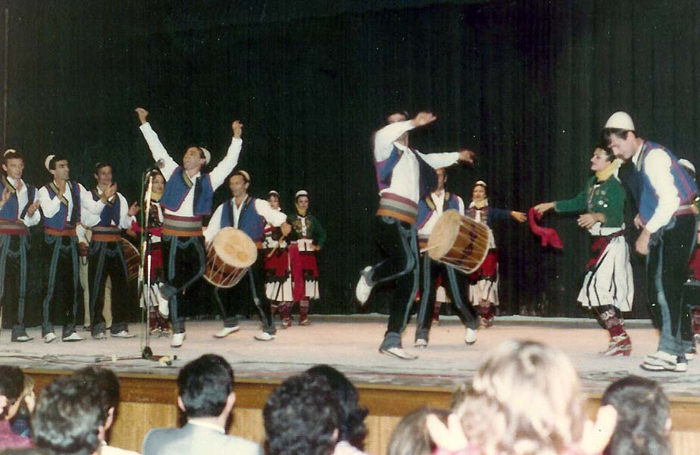 Choreographing - In 1989 he established and directed 'Krahu i Shqiponjes' (The Eagle’s Wing) folk ensemble which achieved great success in Albania and also abroad. 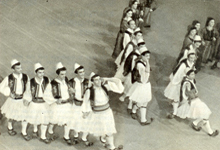 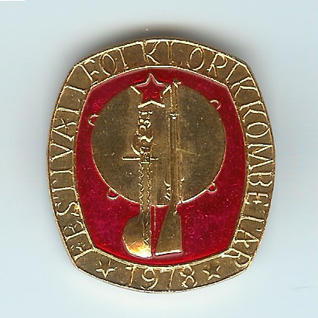 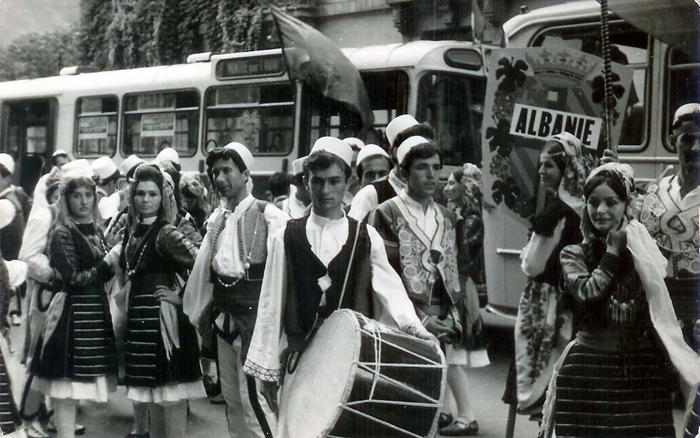 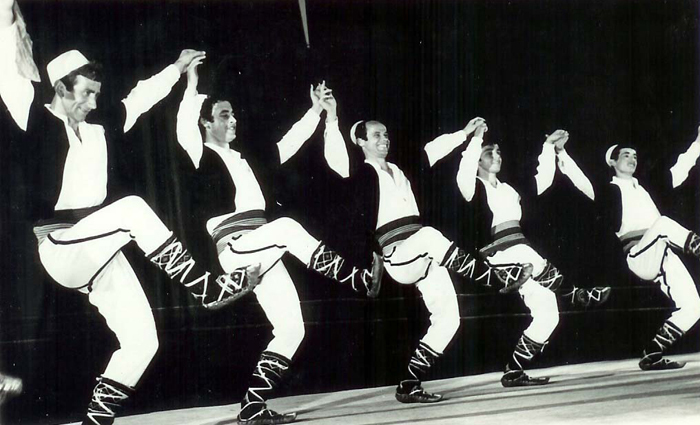 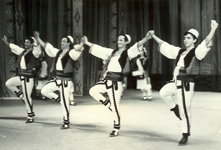 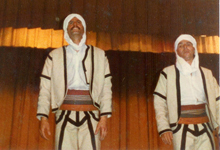 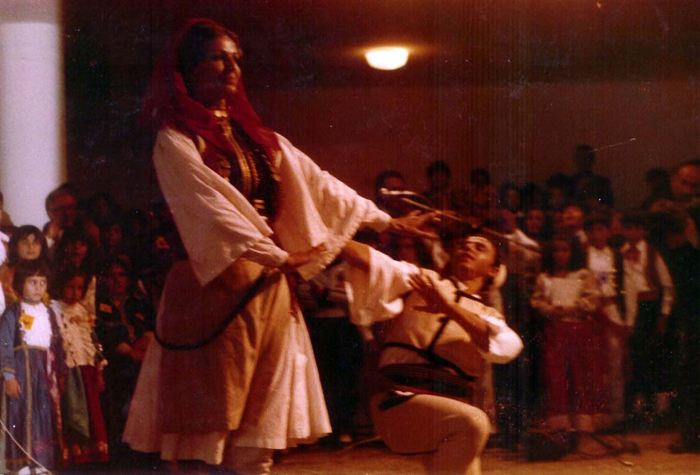 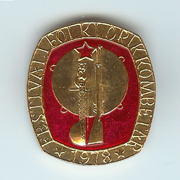 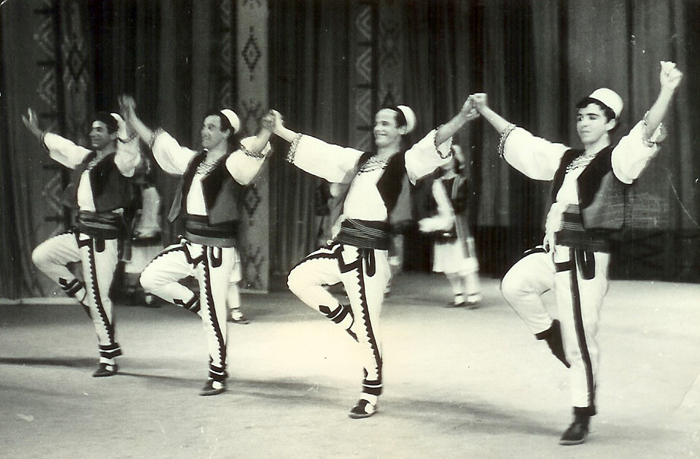 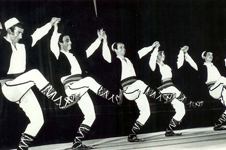 This dance group conducted many performances displaying the ancient Albanian folklore, in Croatia (1993), Turkey (1995) and finally Spain (1996), where they were awarded with the "Medal of Honor" by Spain's Art Council. 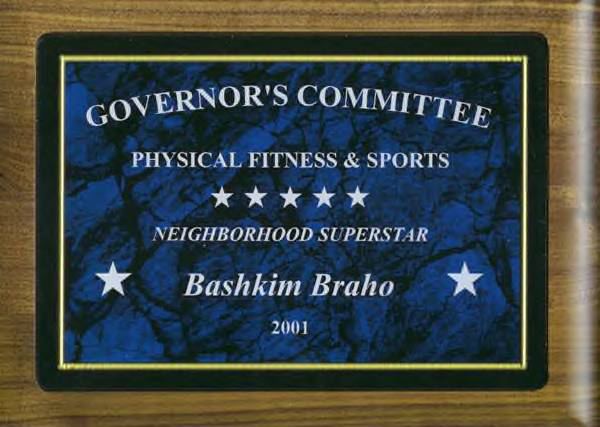 Across the Atlantic - Instead of marking the end of Braho's career, the move to Boston in 1995, gave it a fresh new start. 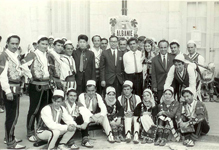 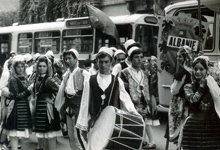 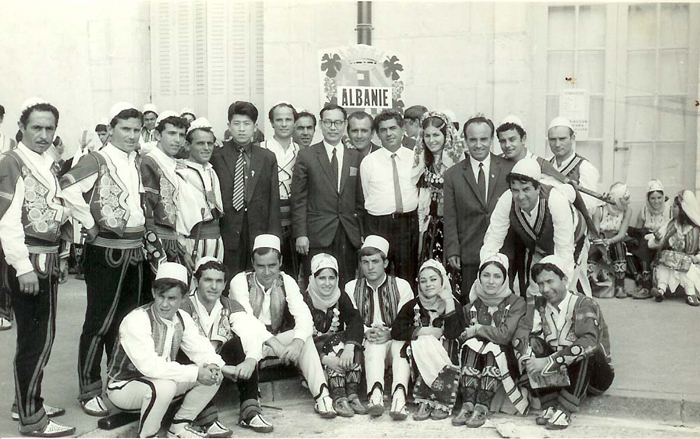 The move sparked the establishment of the Bashkimi Dance which under his leadership and administration continues to perform dances from various regions of Albania. 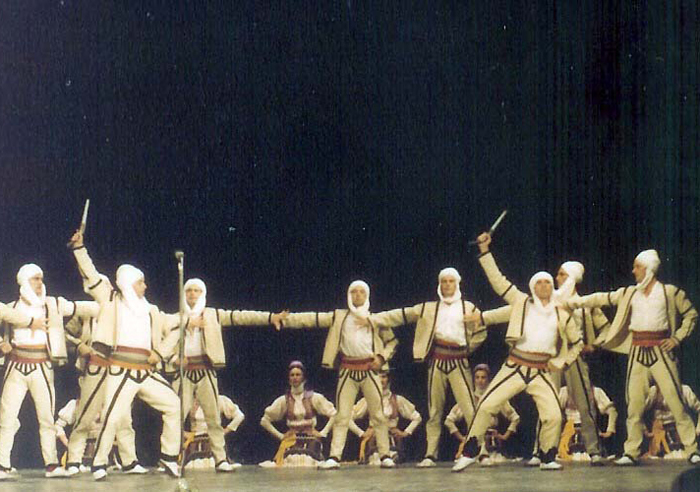 Among the many performances, worth noting is the one given in honor of former US President Bill Clinton, on June 9th, 2003. 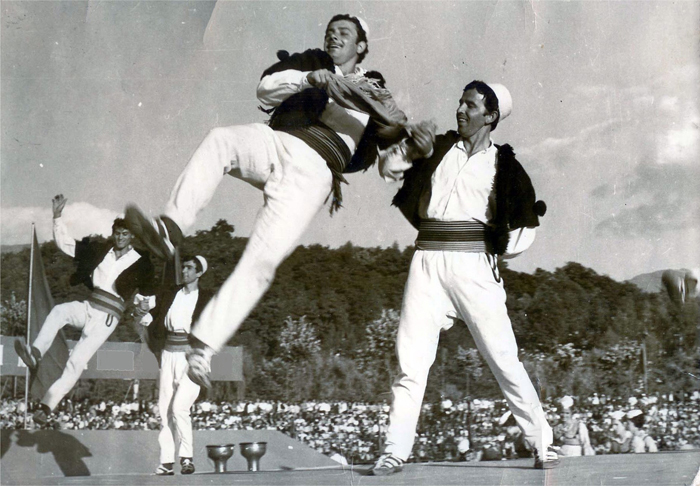 Another cherished achievement is the participation in the annual Balkan Festival in Natick, MA; as well as the annual Albanian Festival in NY. 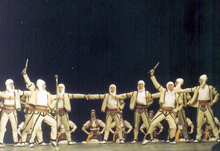 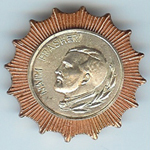 Braho is an important name among the contributors of the Albanian art in the world.